Ross County provide the first challenge if Motherwell are to reach the Scottish Cup final for a second successive year. The fourth round tie will provide a tough test at Fir Park on Saturday. 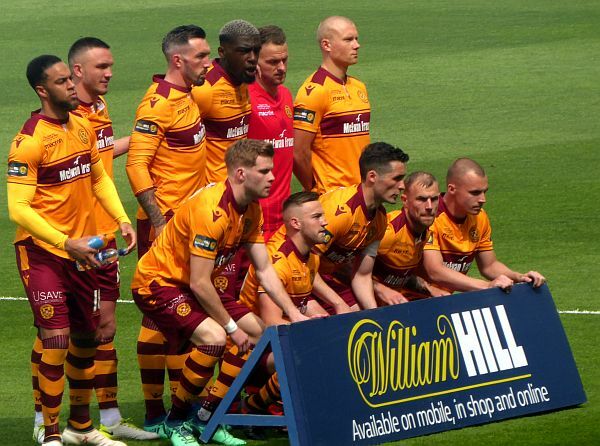 While Motherwell spent last week training in the Tenerife sun our opponents allowed their Championship table topping form to dip with losses to Morton and Queen of the South. They still hold a three point lead in the second tier table and Stephen Robinson’s men will be well warned of the dangers that await. County have added Kenny van der Weg to bolster their defence as well as midfielder Lewis Spence as they prepare for the push that might see them return to the Premiership. Although no one at Victoria Park will dismiss the cup competition there is no doubt that league success is a priority. The visitors rely heavily on Billy McKay. The thirty year old has delivered fifteen goals this season including a couple of hat-tricks. If we can limit his chances we will be well on the way to the next round. ‘Well fans will hope to see at least one of the latest recruits in action. Saturday may be too soon for the return of Ross McCormack as he recovers from a knee injury but there may be a place for Gboly Ariyibi. The pacy winger took the chance of a loan move from Nottingham Forest in order to get more game time so he will be keen to test the Fir Park turf. Before the break we had to field an unusual eleven due to the number of regulars who were injured. A few weeks’ recovery time should mean that the manager will have a larger squad of fit players. With Ryan Bowman and Andy Rose now off the books we are assured of at least two changes to the side that finished the old year with the morale boosting win over Hamilton. The Highlanders last visit to Fir Park (Stevie Hammell’s final appearance) ended with a 2-0 home win. With some new blood and a spring in our step we should be able to grab a positive start to the cup campaign, same again. Remember the last visit of Ross County?